justthefood.com...the blog: Hearty Vegan? Howz'about Home-Cooked Vegan Comfort Food? Hearty Vegan? Howz'about Home-Cooked Vegan Comfort Food? Sorry for the delay in announcing the winner! Congratulations to #17, Matthew Traxler! 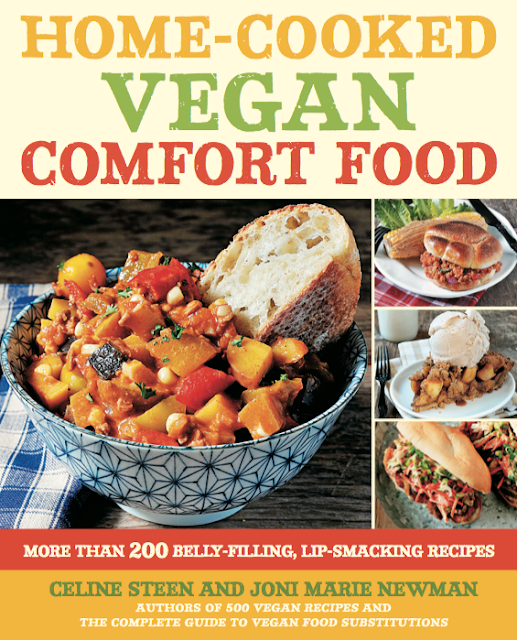 You win a copy of Hearty Vegan Meals for Monster Appetites, soon to be Home-Cooked Vegan Comfort Food! Please send me your snail mail address so I can send you your book! 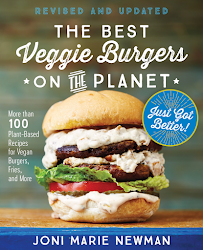 A little while back, Celine and I wrote a little ol' book called Hearty Vegan Meals for Monster Appetites. And y'all have really given it some wonderful reviews! So it was quite perplexing to us, and the publishers, why this book didn't perform as well as some of our other titles. I mean with recipes like Chorizo and Potato Lasagna Bake, Tofuevos Rancheros, and Vanilla Pudding Cupcakes who wouldn't want their own copy of this book? So we started thinking about it, and well, we know the recipes are ahhhmazing, so what couldd it be? And then it hit us! Maybe it's the name! I mean, sure, Hearty Vegan Meals for Monster Appetites sounds good to me, but maybe it doesn't appeal to the masses. So we have changed it, and on its next reprint, it will not only have a new name, but a shiny new cover as well! For now, the original is still available. But soon those will be a colletor's item, so get them while they last! Haha. And to celebrate the rebirth of our baby, I'm giving away a copy to one lucky reader. 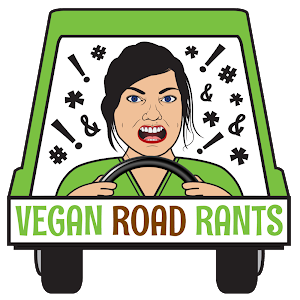 Leave a comment below, letting me know your favorite vegan comfort food, and I will select one of you at random on Friday, March 15, at 12 noon Pacific Standard Time. Contest now over, congratulations to Matthew Traxler, #17! Pizza!! and it's gotta be dipped in ranch.... with a really greasy crust. Yup! I have the original and it's a wonder that it didn't perform that well 'cause it's fabulous! I love,love,love the potato soup and the granola biscuits are delicious. Hope the winner enjoys the book! Mashed potatoes and gravy for me! 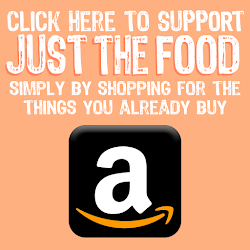 I would love to try out one of your cookbooks! This would be a good place to start. Deviled eggs used to be comfort food, honestly. Also vegan mac. I'm very fond of spicy black beans and rice. I have the original and love it! I can't believe it didn't preform, it's one of your guys's best! Everything I've made out of it's been a winner, and I love the original title, it's what initially caught my interest. Roasted Broccotato Soup with Bacon-Flavored Chickpeas from this book! comfort food means something different every day! today, it would be a big bowl of roasted brussels sprouts. Some days it's creamy pasta .. some days it's french fries. I'm a moving target. Macaroni and cheese, it has to be. Preferably from Veggie Grill. Man, now I'm hungry. Pizza and a super spicy bean chili. Sometims together, sometimes not. Ohhhh, tough question, it depends on the day! Sometimes it's pancakes, pasta or pizza, sometimes tofu Bahn Mi, sometimes a Tortilla Pie! Definitely grilled vegan cheese + tomato soup. Vegan BLT's and Potato soup! I actually prefer the original title of your book but I do like your new cover. My favourite comfort food would have to be your beefy cheesy mac of course. I like the new name better! My favorite comfort food (at least in the cold months) is soup. Specifically Vegan Ribollita, I think it nourishes my soul as much as my body. I would have to say that my favourite comfort food is pot pie. thank you whoever discovered that cashew = cream/cheese! oooh, this book has been on my wish list forever. For me, there's pretty much one word for comfort food: CARBS. Especially bread. Toast, waffles, crepes, muffins... anything bread-like does the trick for me. I could eat it forever. My favourite vegan comfort food is definitely mac 'n' cheese! My favorite vegan comfort food has to be buttery and amazing chocolate chip waffles. My favorite vegan comfort food would be lemon squares - but I may be biaised since I just finished eating one and still have lemony goodness in my mouth. My favorite vegan confort food would be something with lots of sauce and melted Daiya cheese. Miammm!! My favorite is your seitan bbq "ribs". You and your delicious recipes are what kept me on the vegan path when I have been tempted at times to regress back to vegetarian. My husband is also totally on board and loves your blueberry pancakes! A big Southern breakfast (eaten at any time of the day) is the ultimate comfort food - tofu scramble, something sausage-like, and biscuits and gravy. My favorite comfort food would have to be a peanut butter banana sandwich - but only with peanut butter I make from scratch. Roasting the peanuts at home lends them this amazing smokey flavor that I have yet to find in any store bought brand. It's quite a job to peel enough of them to wind up with 2 cups of PB but it's totally worth it. Runner up - Tofu scramble. My favorite vegan comfort food would be mashed potatoes with gravy and field roast! I love a good vegan spaghetti and 'meat' balls!!! Yummy and warm and cozy! It has to be mashed potato and gravy. Mmmmm!! Navy bean soup is the vegan comfort food I fix most often. Matthew...You won the giveaway! Please send me an email with your snail mail address so that I can send you your book!